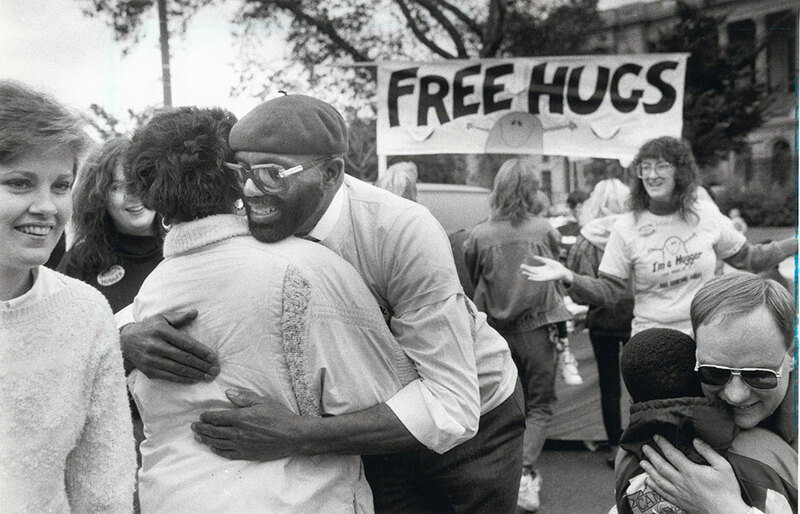 "Giving out Free hugs are 'official huggers' from the Unity Church of Christ...giving a hug to a passerby. At far right, another official hugger gives a hug to a small child." Billed as "a giant block party," and held on the second Sunday of October, the Super Sunday events occupied the Benjamin Franklin Parkway, from the Art Museum to Logan Circle--it was a large-scale celebration of ethnic and cultural Philadelphia.